Placements are conventionally either single with the name on one side, or folding cards with the name on either one or both sides. They are a perfect companion to our table plans, so you can make sure your guests are quickly seated. 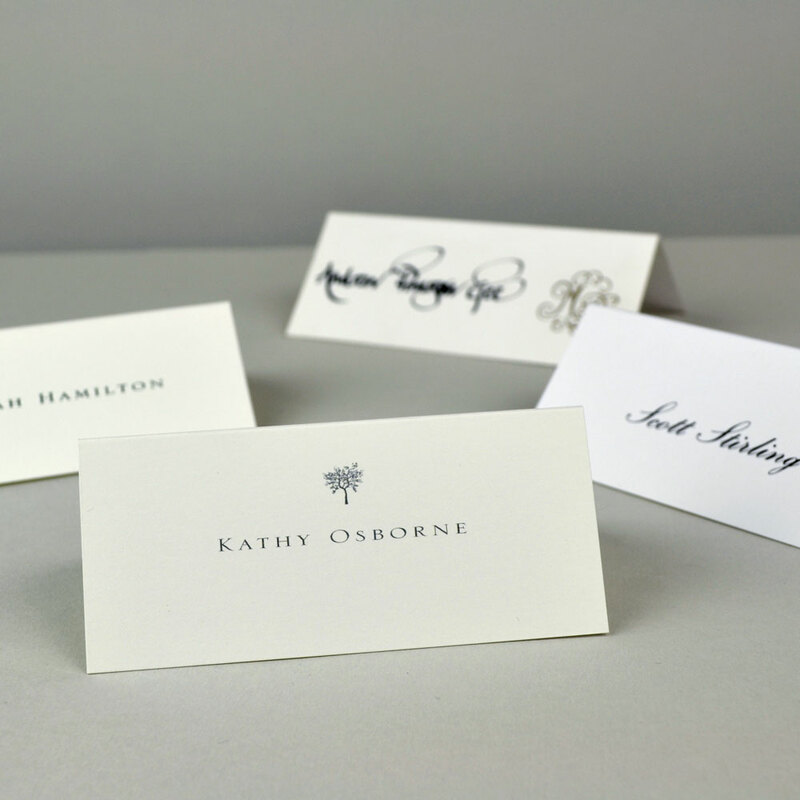 Whether you are looking to hand-write your own, have your guests’ names printed or perhaps scribed in calligraphy, we can help you make your choice. 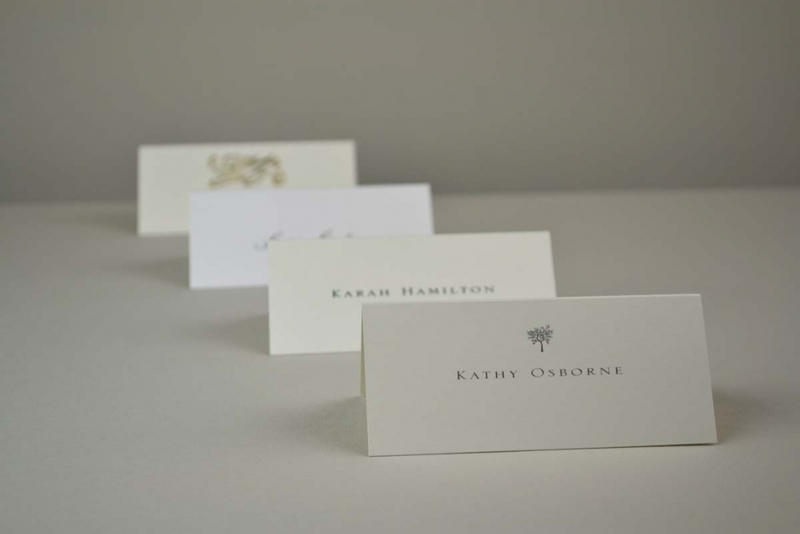 We can print your friends’ names on placement cards if you wish. We have some standard ink colours that are illustrated below. Bear in mind that computers do distort colour so we are happy to send you a colour chart for you to see them clearly . We can also print any colour from a Pantone reference number and we will always try to obtain a good match of a colour you may want. 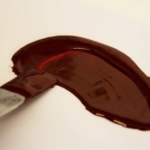 Please note that as inks are fairly transparent, colours will appear darker on darker surfaces. Thermographic embossing also (marginally) darkens ink colours. The three choices for you to make are the colour, weight and texture for your writing paper and correspondence cards. We have one of the largest stocks of paper and card available. 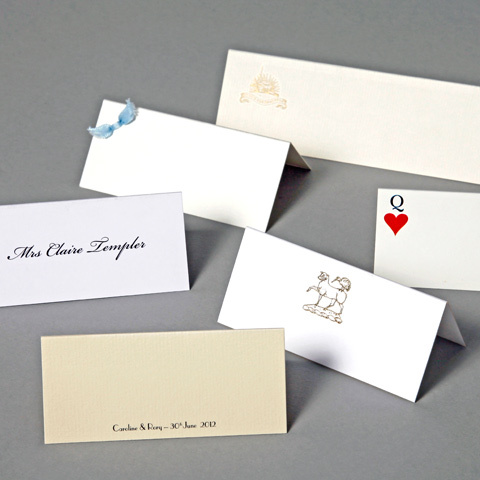 The weights of the card and paper are best shown through our sample packs. It really helps to feel and see them to understand the difference between the lighter and heavier weights as well as the textures and colours. Most of our card choice comes from G. F. Smith’s Colorplan range. Click here to see it. Colour: Our most popular ranges include a variety of whites, creams, blues and greys. Each of our standard stock has matching envelopes. However we are not limited to those, as brightly coloured papers and cards are available in a myriad of hues, and we have one of the largest stocks of paper and card available on site. N.B. Other than our standard stock, the coloured papers and card may not have matching envelopes. Weight: Paper and card come in different weights. A4 letterhead used for printers tends to be 100gsm or 120gsm whereas writing paper ranges from 120gsm to 160gsm. The weight of the card and paper is best shown through our sample packs. Texture: Some paper and card come in 3 choices of texture: wove (smooth), laid (rippled) and antique(rough) as shown below. 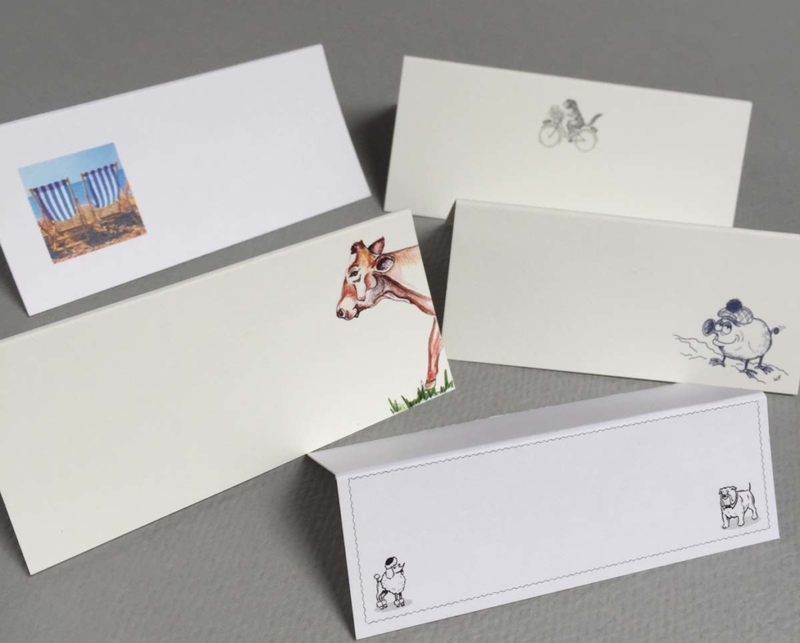 When choosing a paper or card, please try writing on it with your usual pen. Some people find laid paper rather scratchy when using a fountain pen. There are 3 paper and card textures available, wove (smooth), laid (rippled) and antique(rough) as shown below. There are more typefaces than you can imagine so the world is your oyster. Traditional invitations may look better in the conventional script typeface. However we are increasingly asked to use other faces. Our sample package shows conventional faces as well as others, but do bear in mind there are thousands of faces, and even different versions of the same face, so do ask if you don’t see something you like. Visiting www.Fontfile.com will give you some ideas. 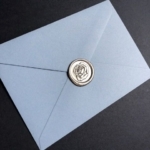 We can line envelopes with coloured tissue or paper to match your invitation or ink colour. This is done by hand. We can line any type of envelope, although the diamond-flap style lends itself well to lining, as the opening is wide, giving the best visibility of the lining material. We have a wide range of coloured tissue to choose from, including both plain and patterned. Please contact us to discuss in more detail. Our expert finishers can hand-tie from a wide selection of ribbon colours and textures. View our standard selection of stocked ribbon colours available in 10mm double-faced polyester “satin”. If you’d prefer to provide your own ribbon for tying, please contact us. You can also explore the fabulous VVRouleaux website which is full of beautiful ribbons and other wonderful accessories for embellishing invitations. We know and work with them often, so please feel free to choose a wonderful ribbon with them and liaise with us. 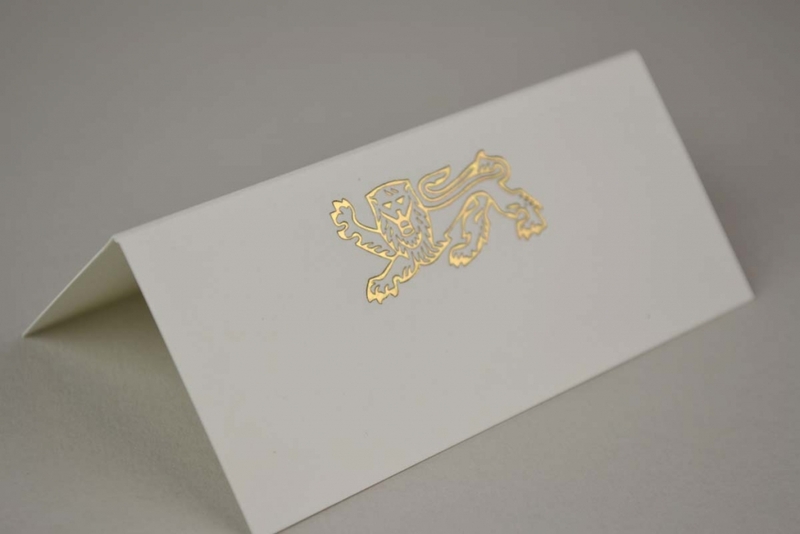 Strictly speaking, gilding is the addition of gold foil to the side edge of a piece of paper or card. The thicker the stock, the more the gilt edge is noticeable when the sheets are separated. A bevelled edge gives maximum effect. As well as the traditional gold and silver, different colour metallic and non-metallic foils can be used. It really looks absolutely stunning on any invitation or business card. This is such a wonderful way to finish an invitation. It adds an elegant finishing touch that leaves a lasting impression. It can be done in any Pantone® colour and can either match or contrast the colour of your text. Please contact us for a quotation. 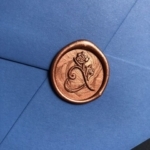 An increasingly popular finishing touch is using wax seals on your envelopes. 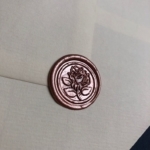 Some customers like to create a bespoke stamp and use wax to create each individual seal. Whilst this is looks wonderful it can be rather time-consuming. We have found a company that produces these fantastic self-adhesive wax seals and they look amazing! 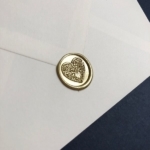 Their classic styles including English Rose, Laurel Wreath, Heart and Foliage Leaf, are available in silver, gold and rose gold and they can custom make any wax seal in any Pantone® colour. For more details, please contact us. 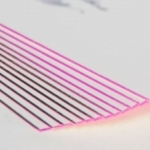 is the method used in most fine printing today. It creates a cleaner image than any other method of printing and the process that has enabled fine art to be reproduced authentically in full colour. It is based on the principle that oil does not mix with water, and the minimum of water, pressure and ink will create a perfect image. A plate has to be made for each colour used. These used to be metal, but to a large extent, these have been replaced by synthetic ones. 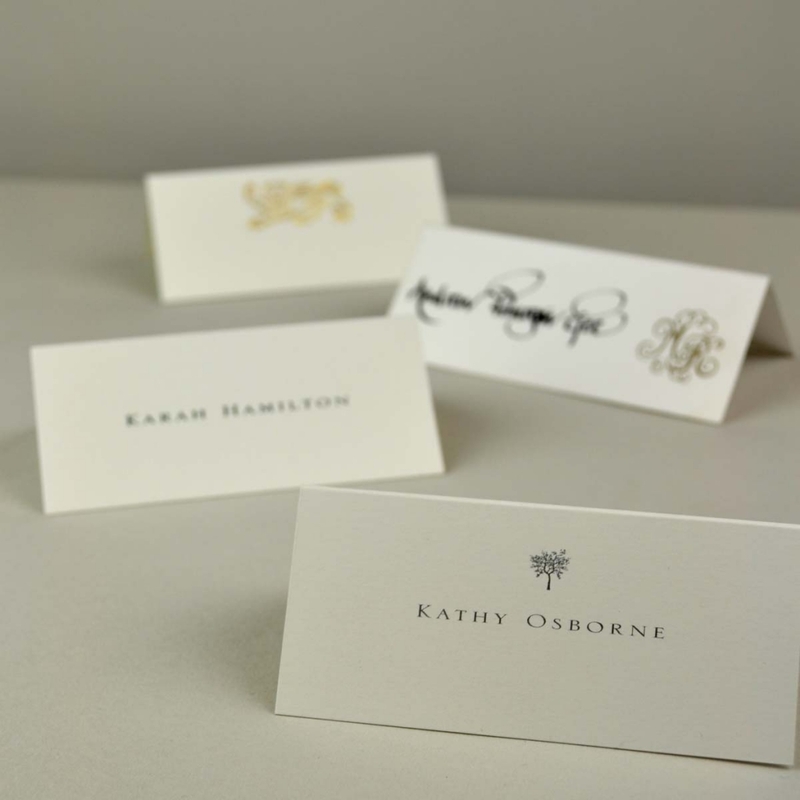 Created as an economical alternative to die stamping/engraving where the printed area is raised from the printed sheet. The thermography process is an add-on to lithography or letterpress and does not involve making a die. While the ink is still wet, a resin is applied to the printed sheet. The resin is then removed except where it has adhered to the wet ink. The sheet is then heated for a crucial period which is just enough to soften the resin without it melting over the edges of the image, although it always does to some extent. The finished result can be almost as good as die stamping to the tutored eye, and just as good to the untutored. Since there is no pressure exerted to the back of the sheet, there is no noticeable mark here. Our thermography differs to other printers’; as we are always trying to emulate the fineness of die stamping. We encourage you to request a sample from us to discover just how good a result we are able to achieve. Engraving is the process by which text or an image is first etched by machine or hand onto a copper or steel die. This die is then used to stamp the sheet, pushing the surface of the paper or card up, creating a raised image to the front. Intense pressure is used simultaneously with the application of ink, creating a raised image or text in the chosen ink colour. This historical printing process was the first method used to create a raised image, and now has largely been replaced by thermography. 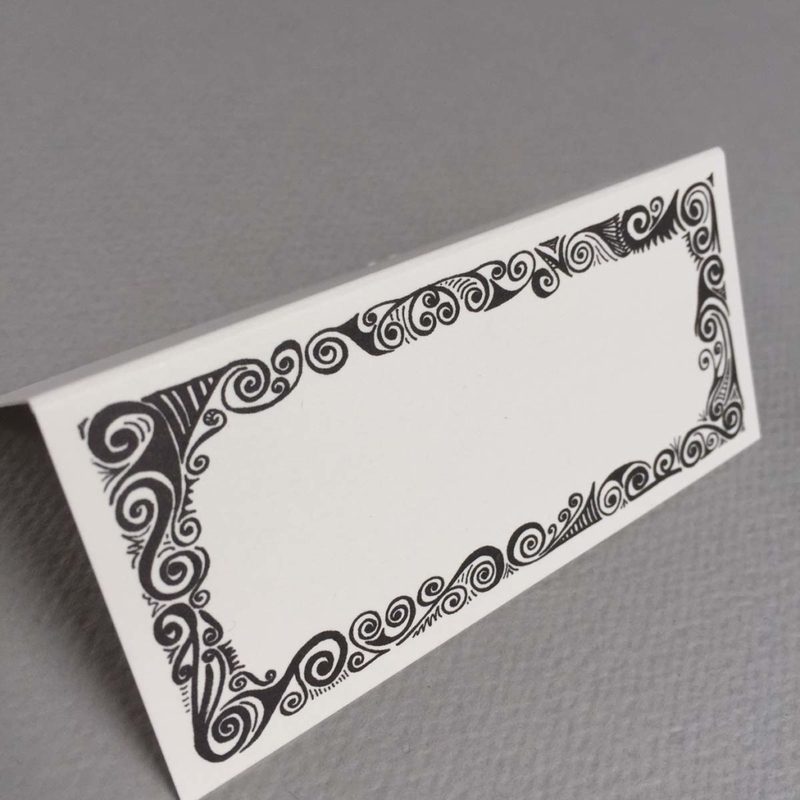 However, due to the pressure used in the process of die-stamping (over a ton per square inch) fine lines are more genuinely reproduced than by thermography, so die stamping is often considered superior. The necessity of a metal die makes small runs relatively expensive compared with thermography. There is a varying visible indentation to the back of the sheet depending on the stock and machine minder. 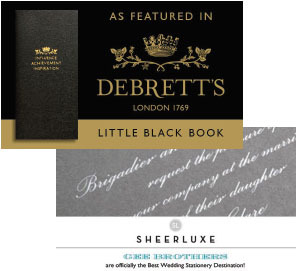 Although dies are seldom made by hand anymore, Gee Brothers is one of a few remaining specialist printers offering a hand-engraving service for wedding invitations. Create depth and texture with letterpress printing. 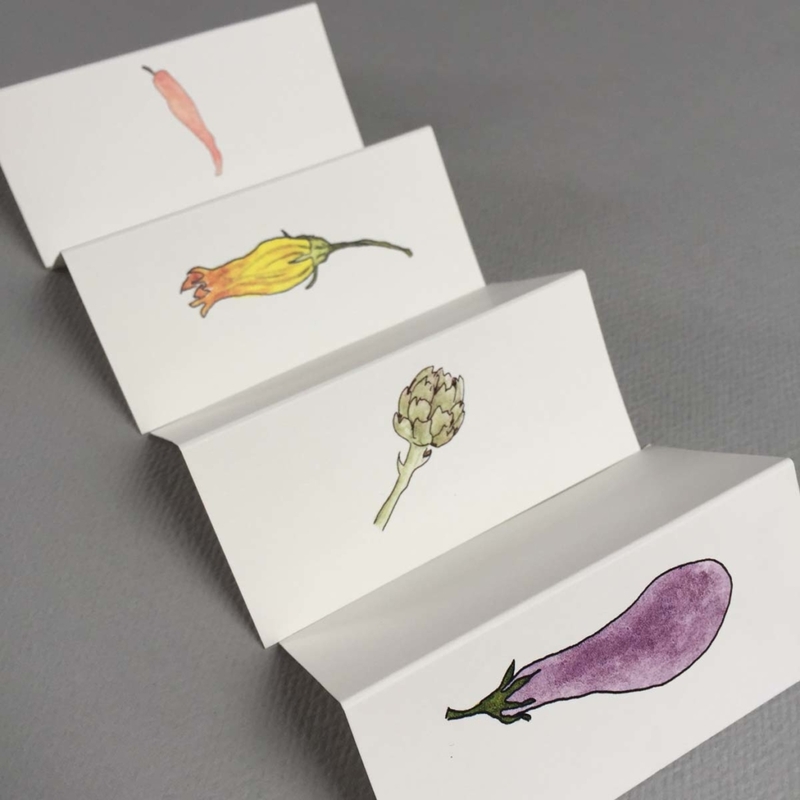 For the very best results ask for our soft-finish card by G.F. Smith, available in a range of stocked card colours. 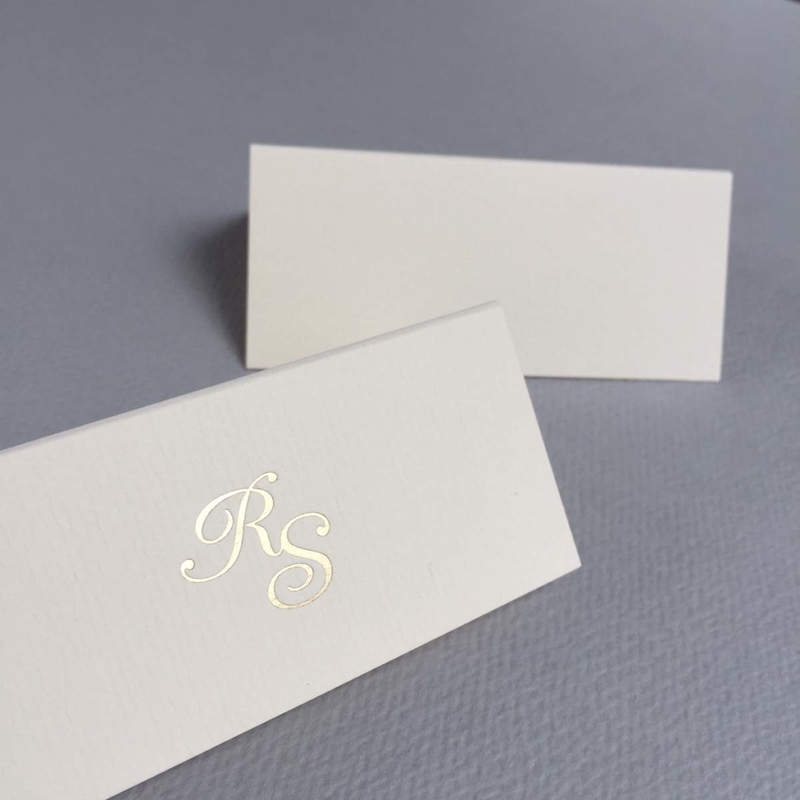 This type of card lends itself extremely well to the letterpress process as it allows for the pressure mark (debossing) that has become so popular. Foiling is used to create an opaque image to a sheet, and is usually associated with metallic finishes, as gold and silver inks are never truly shiny or metallic in appearance, whereas foil creates a real metallic effect. A die is made from either your ready-to-print artwork or that created by Gee Brothers. 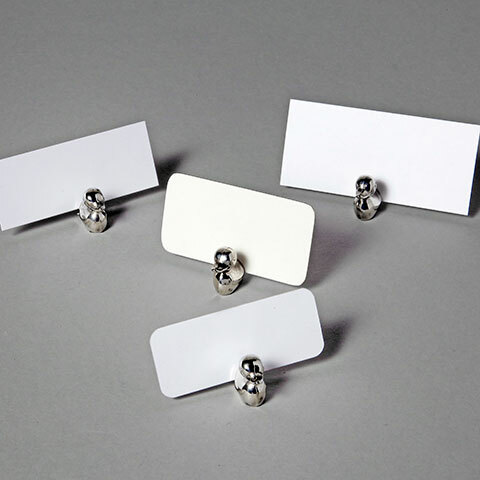 Using heat and pressure, the die applies the foil to the card or paper, and depending on how much pressure is used, can result in the image being debossed, depending on the stock used. In some cases you might expect to see a pressure mark on the reverse side of the sheet. 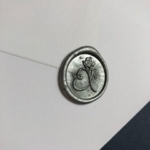 Blind embossing is the process by which text or an image is stamped using a metal die, pushing the surface of the paper or card up, creating a raised image to the front. Although very similar to engraving/die-stamping the blind-embossing process is done without any ink. 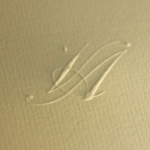 This way of embossing is popular on wedding stationery and is often used to emboss the initials to the cover of wedding invitations, menus and service sheets. It can be applied to almost any type of stationery. 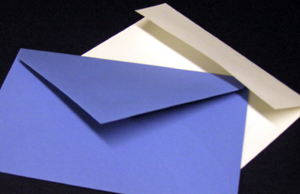 Envelopes are either thicker with a gummed diamond flap or those that are ‘peel and seal’. The wedding and party invitation stationery is always accompanied by gummed diamond flap envelopes. Our envelopes match the colours of the paper and card we have in stock. 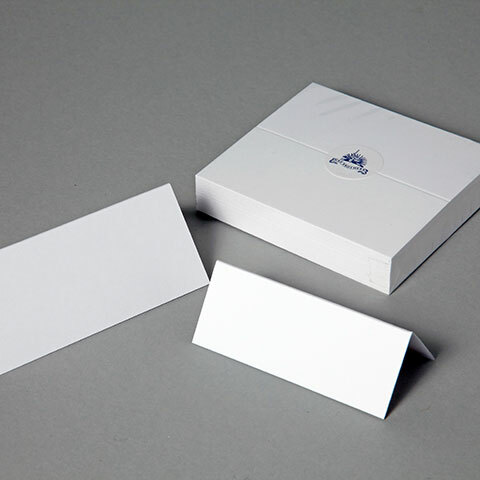 Envelopes can of course be made to your requirements but can be expensive. 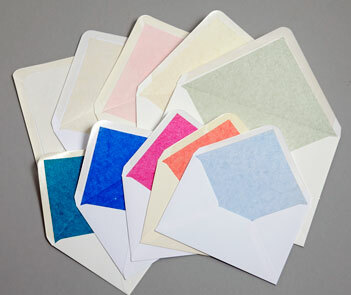 We can line envelopes with coloured tissue or paper to match your invitation card or ink colour. This is done by hand. 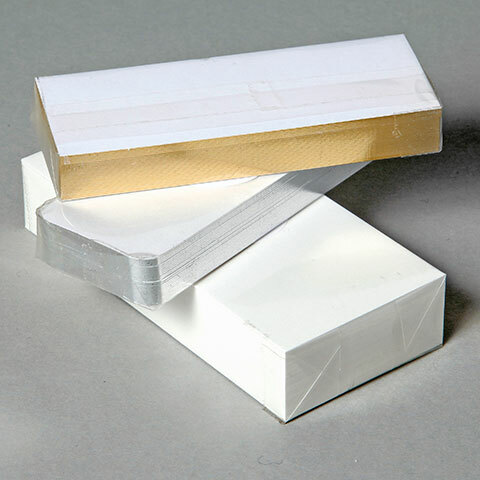 We can line any type of envelope, although the diamond-flap sort lends itself well to lining, as the opening is wide, giving the best visibility of the lining material. 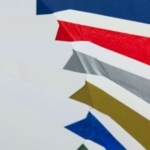 We have a wide range of coloured tissue to choose from however you may wish to provide your own tissue or paper for envelope lining.